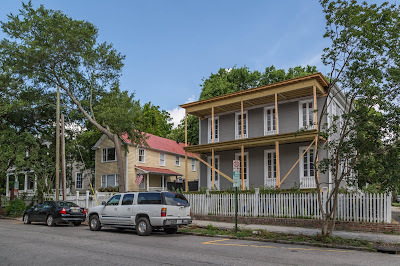 Charleston Daily Photo: Before and almost after - Thomas St.
Before and almost after - Thomas St.
15 Thomas St. is getting a new look. 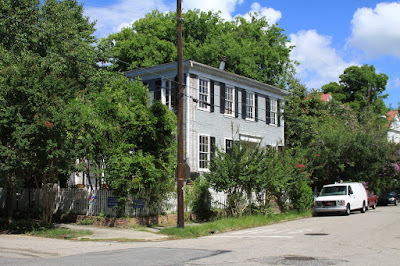 It's nice to see a home I have walked by for so many years getting love and attention. Since it changed hands last year we still get to look at the interior shots from the real estate web site - tour. Listed as valuable in ''This Is Charleston'' and also noted as one of the 70 properties that defined the Historic District when it was defined in the 1960s, The Samuel S. Mills House was built by a Massachusetts ship captain as a New England double house in 1839. 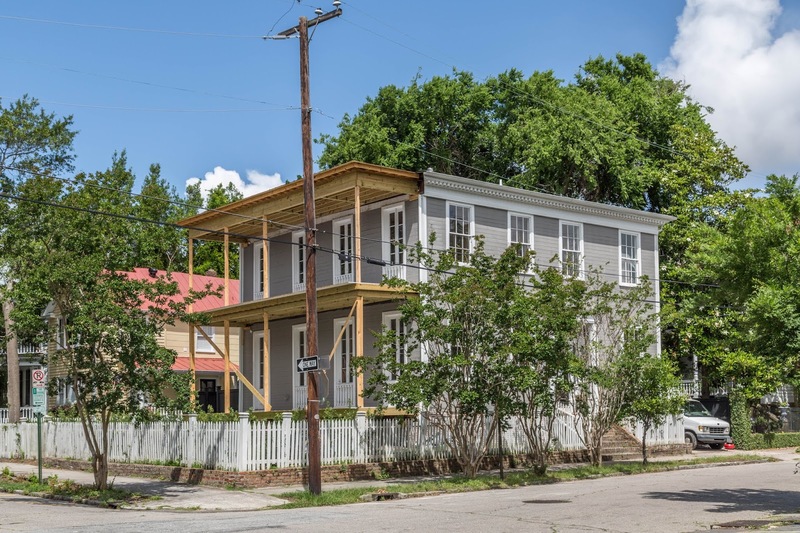 This home sits high on a large corner lot in one of Charleston's most sought after historic neighborhoods. Grand scale rooms on both floors feature high ceilings, large windows, wide doorways and beautiful wooden floors. Labels: Before and After, Thomas St.